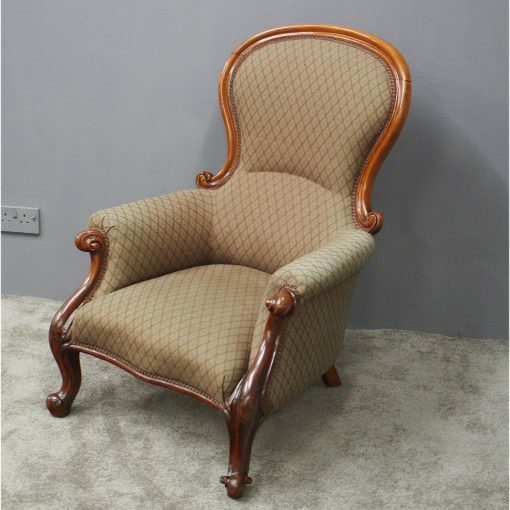 Circa 1860, Victorian mahogany framed gents easy chair. 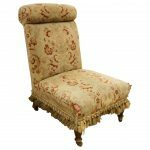 The moulded balloon back is terminating in upturned foliate scrolls, and the deep seat is in recently upholstered quality patterned beige covering. 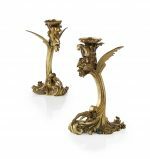 It has outswept upholstered arms with foliate carved facings extending down as cabriole legs on scrolled toes.